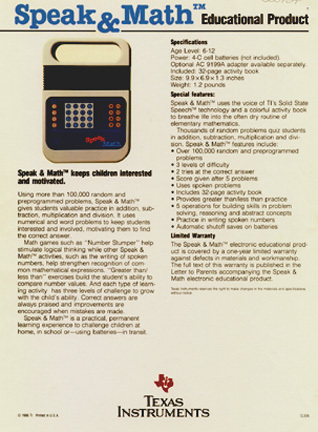 Speak & Math is a "talking" learning aid introduced by TI in June 1980. 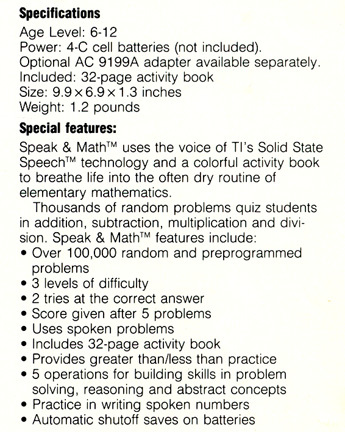 Using the TI Solid-State Speech technology introduced in Speak & Spell. It provides fun with numbers while reinforcing basic mathematical skills. It was designed for children in the 6-12 age level.